We’ve landed ourselves in jail. But we have a solid alibi: we’ve been drinking gin. We’ve drunk gin in quite a few corners of the world by now. Today, we get to cross jail off the list. We are at Alibi, a bar housed inside the Liberty Hotel in Boston, and both of these names become quite cheeky when you learn that the Liberty Hotel used to be a prison. We’re drinking with Amy Volkmann, a bartender here of three years who still enjoys watching people putting two and two together. The cheekiness ends right around there however, and what’s left is a dark, cosy cocktail bar with imaginative, approachable drinks and plenty of plush seating to enjoy them in. 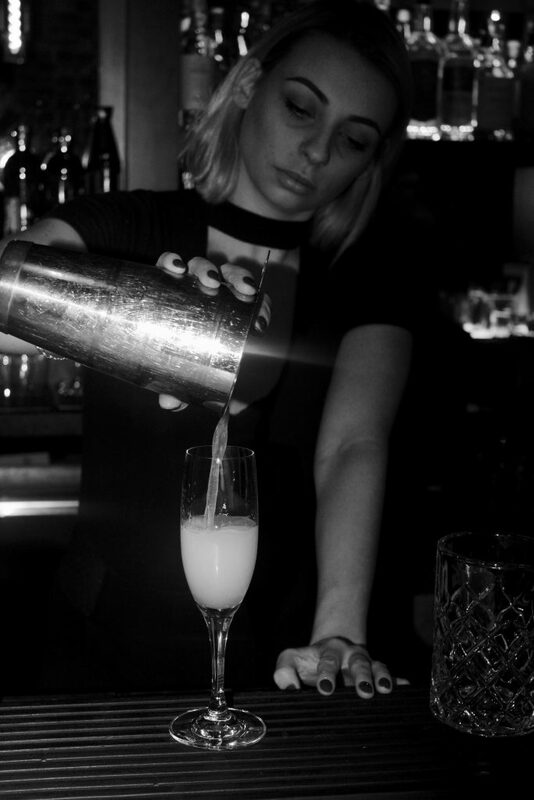 As Boston’s cocktail culture is still growing, we ask Amy how her clientele respond to Alibi’s cocktail offerings. 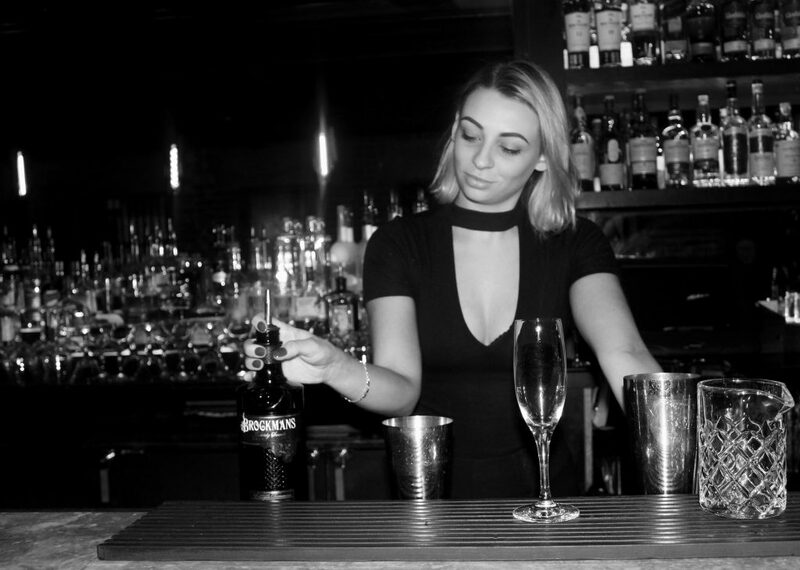 Of the many cocktails Alibi does have to offer, Amy tells us of the new wintry gin cocktail on the menu that stars our favourite gin, Brockmans. 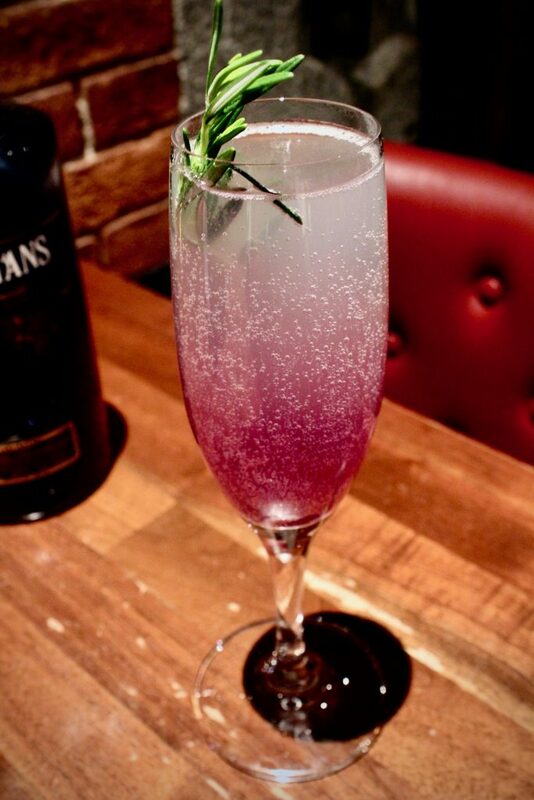 Now that the bar is ready, Amy makes us this wintry gin drink, the “Purple Haze.” A play on a French 75, it has lemon juice and simple syrup and is topped with prosecco, but with a few twists to make it unique: rosemary, butterfly pea flower extract, and lavender CBD oil. They say that CBD is meant to relax you. Call us old fashioned, but that’s what we thought gin was for. Thankfully, we are able to leave when we please. After all, we had a great alibi. 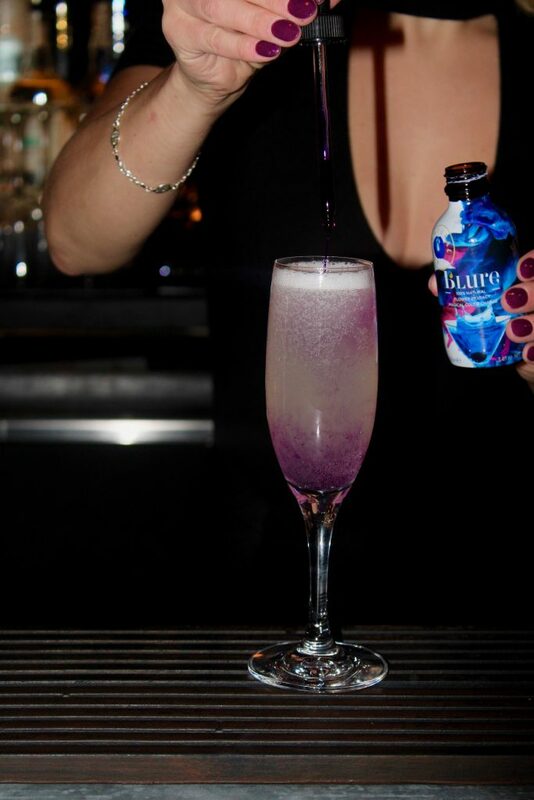 Add all ingredients except for the prosecco to the shaker. Add ice, and shake vigourously for a few seconds. 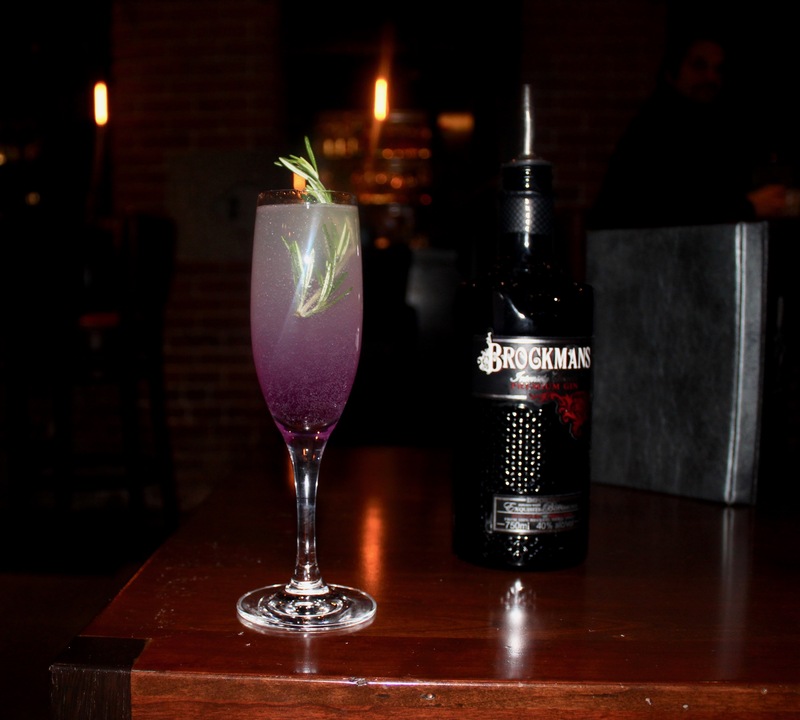 Top with prosecco, and garnish with a sprig of rosemary.